At long last, the Port Isabel Lighthouse will once again be open to the public. The date and time have been set: at 9 a.m. on Tuesday, Jan. 2, 2018, the historic structure will officially be re-opened, City officials said. 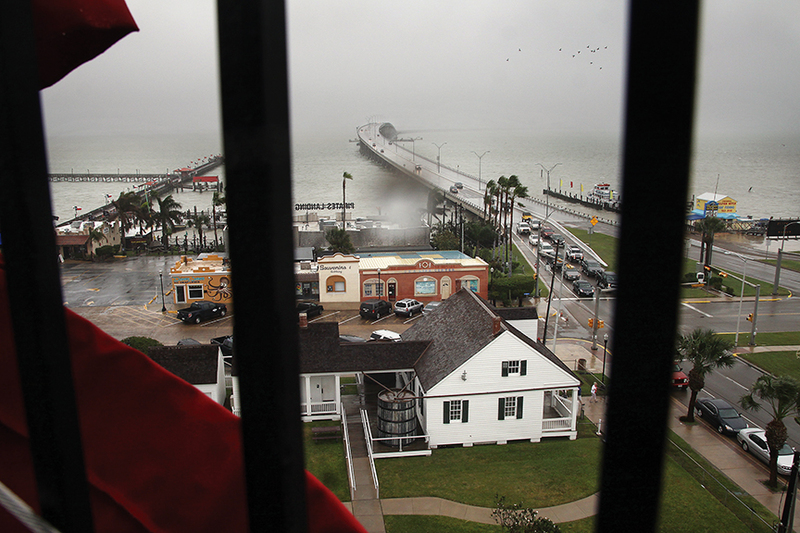 “Since November of 2016 the Lighthouse has been closed for renovation,” said Port Isabel Marketing Director Valerie Bates from inside the lantern room of the Lighthouse during a sneak peek the City allowed local media Wednesday morning. For over a year, the Lighthouse was completely ensconced in scaffolding as the Texas Parks and Wildlife Department (TPWD) worked on a project to restore the structure’s exterior, as well as the metal railing which rings the catwalk surrounding the lower lantern room. “The railing was manufactured; there’s two sets of railings — one on the catwalk we’re able to walk out on now, and one on the upper lantern room,” Bates said. “Since 2014, we’ve not been able to go out on the catwalk, so this is really going to make this an immersive tourist experience to be able to walk out on the catwalk,” she said. As strong winds and rains buffeted the Lighthouse, a set of double doors stood open, showing a clear view of the surrounding town and the ample space of the black catwalk outside.